Something cute and ohhhh so true. 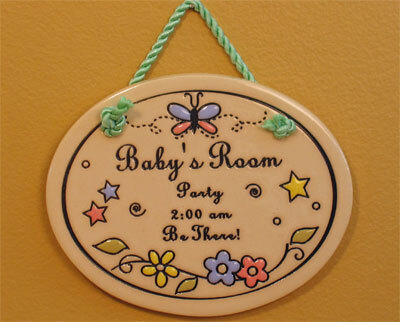 A fun gift for new parents. 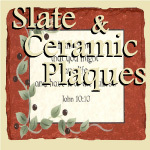 This ceramic wallhanging measures 4.75" x 3.75" and is suitable for wall display.